The Computational Neuroscience of Vision focuses on the visual information processing and computational operations in the visual system that lead to representations of objects in the brain. Chapters 1-6, describe the structure and function of many of the cortical areas invovlved in this visual processing, including the temporal lobe cortical visual areas where representations of objects are found. Chapter 7 describes the operation of neural networks that provide a foundation for understanding how some of the computations involved take place in cortical areas. 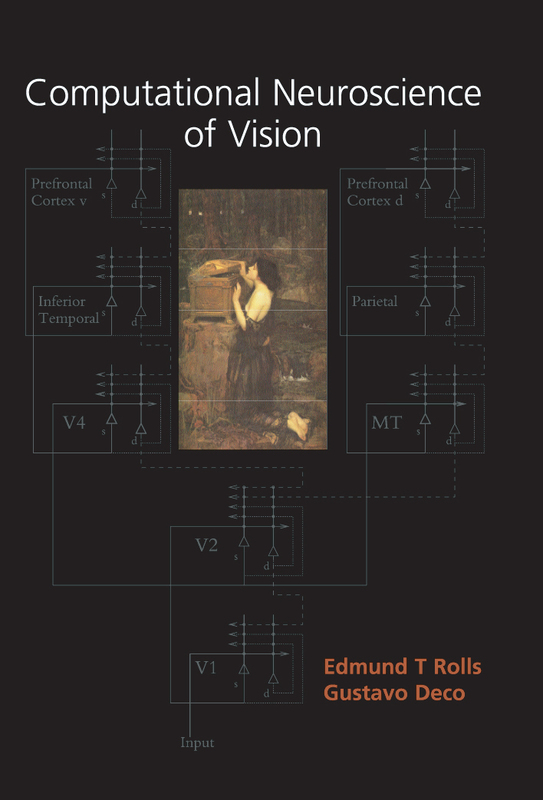 Chapter 8 describes different computational approaches to the recognition of objects, and then develops a computational approach to understanding how the visual system actually forms representations of objects. Chapters 9-11 provide a computational approach to understanding how attention operates in the brain. In addition to purely visual processing, Computational Neuroscience of Vision also considers how visual inputs reach and are involved in the computations underlying a range of behaviours, including short-term memory, long-term memory, emotion and motivation, and the initiation of action. The book thus provides a foundation for understanding the operation of a number of different brain systems. This book is relatively unique in integrating evidence from the neurophysiology, neuroimaging, and neuropsychology of the high-level visual processing systems in the brain and their connected output systems with a computational framework based on biologically plausible neural networks. The book will be of value to all those interested in understanding how the brain works, and in understanding vision, attention, memory, emotion, motivation, and action.